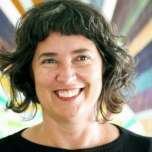 Sherri Lynn Wood is the recipient of a Joan Mitchell Foundation Grant for Painters and Sculptors, two MacDowell Colony Fellowships, as well as arts residencies at the Headlands Center for the Arts, Blue Mountain Center, Virginia Center for the Creative Arts, and most recently at Recology San Francisco in 2016. An interdisciplinary artist based in Cincinnati, OH, she holds an MFA from Bard College and a Masters of Theological Studies from Emory University. 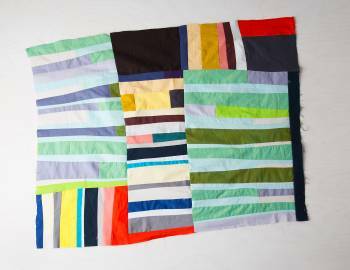 Her 2015 publication The Improv Handbook for Modern Quilters: A Guide to Creating, Quilting & Living Courageously (Abrams) provides frameworks for creative exploration, along with practical instruction in stitching techniques and color theory. Sherri teaches and speaks about improvisational patchwork and flexible patterning at art and craft schools, guilds, and conferences nationally and abroad.